The election is upon us and the political parties are making pledges. In fact Labour has set its political pledges in stone and produced a pledge tablet. 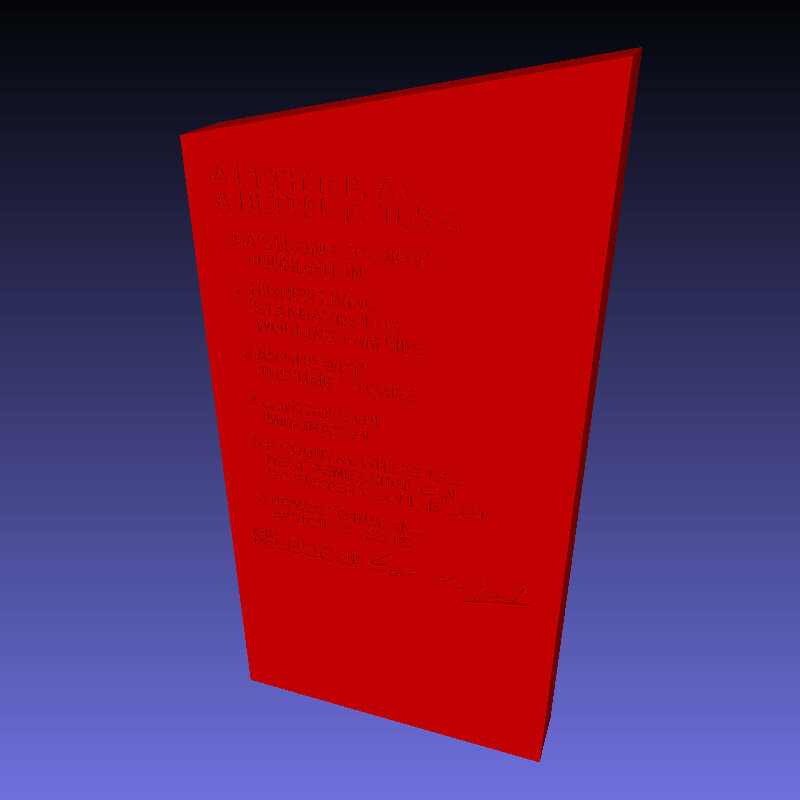 Now is your chance to 3D print your own political pledge tablet. The guys at Cel Robox have come up with some 3D printable 3D model files of Labour, Conservative and Liberal Democrat political pledges. Rather than being politically biased they have designed a political pledge tablet for each of the main political parties. However, if you feel that your political party has not been represented then by all means download the 3D model files and make your own. Please feel free to dress up as your favourite political leader and stand by your pledge tablet and give a prime ministerial pledge. Or simply print off your own copy so that you can check the future governments performance. As always please send us pictures of your own prints and if you design your own political pledge tablet then please send us the file so we can make it available for download.